BEAUTIFUL RUSTIC STYLE VILLA WITH COMPLIMENTARY MODERN FEATURES. 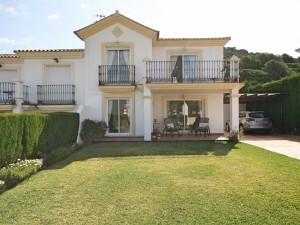 Situated in a prestigious urbanisation of Mijas village with outstanding views. This lovely property has recently undergone a comprehensive refurbishment programme including, new flooring, rewiring, re plumbing, two new bathrooms, luxury new kitchen, replacement German profile double glazing with security glass, new internal and external lighting and has been repainted inside and out. The property comprises:- entrance hall, lounge-diner with fireplace and beamed ceiling with feature 4m wide terrace sliding doors maximising the view, fully fitted kitchen with access to the terrace, bathroom, bedroom 1, bedroom 2, further bathroom and master bedroom with en-suite bathroom. All bedrooms have access to a terrace. On the UPPER LEVEL, with external access, is bedroom 4 with en-suite bathroom and Juliet balcony, ideal for occasional guests. 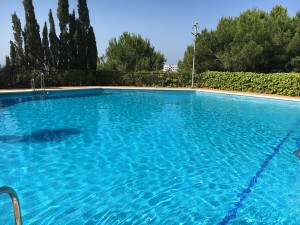 OUTSIDE Beautifully maintained gardens with barbecue, sunbathing area and heated pool. Steps to lower garden. Garage parking and additional off road parking for up to 3 vehicles. 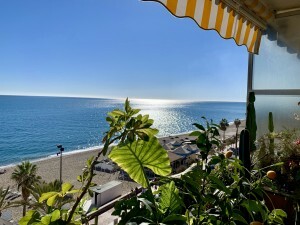 The property has spectacular sea and country views, is mainly on one level and is within walking distance of all the amenities of Mijas. Ongoing rental history which may be attractive to the new owner good yield. Early viewing highly recommended.